Inna lillahi wa inna ilaihi raajioon. The reason that makes me write about the virtues of the Sahabee Muawya (رضي الله عنه ) is because every Muslim who has enough Islamic knowledge and knows a foreign language other than Arabic should – at his capacity – introduce the virtues of this great Sahabee to Muslims who can not read Arabic . Because misguided books of Shi’ites and Habashees and other groups that stab the image of this great Sahabee may fall into their hands, and then suspicions around this Sahabee and others may begin to turn in their heads and they may not find writings in their language that answers these suspicions . And in the Islamic religion, Muawya (رضي الله عنه) is a test : – – If you love him, your faith is correct . – and if you hate him, your faith is incorrect . ” O Allah ! Make him a guider, guiden to the right path, and guide through him ” . ” O Allah ! Teach Muawya the Book and the Math, and save him from the punishment ” . – Book = Quran . – Math = because it is needed in ruling . – Save him from the punishment = for the mistakes that is done during ruling) . ” The first army of my ummah (nation) that invades tha sea, all there sins are forgiven ” . Hafez Ibn hajar said in Fateh al-Baree (6-127) : ” Muhallab said : In this hadith there is a virtue of Muawya, because he was the first to invade the sea ” . Tabaree reported in his history that Muawya (رضي الله عنه) first invaded the sea in the year 28 h .
Ibn Taymiyyah said in Majmuaa’ al-Fatawah 4-288 : ” It is confirmed by many that Muawya was a faithful companion of the Prophet (صلّى الله عليه وسلّم) who wrote down Allah’s Revelation, and the Prophet (صلّى الله عليه وسلّم) did not accuse him in his writing of the Revelation . Also, the khalifah Omar Bin al-Khattab (رضي الله عنه) – who was the most experienced in knowing men – appointed Muawya as a ruler on the state of Sham (it includes Lebanon, Syria, Palestine and Jordan) until Omar’s death . The khalifah Othman (رضي الله عنه) also kept Muawya in his position during his state, and neither of them accused Muawya in his rule ” . 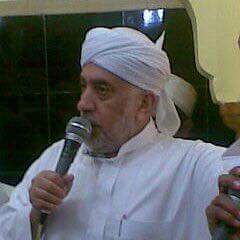 The Uncle of Believers (خال المؤمنين) Muawya (رضي الله عنه) died in Rajab in the year 60 h . He lived for seventy seven years . isn’t my words, but the words of the great ( Ibn al-Mubarak ) ( died 181 H ) : He said :We consider Muawyah as a test, whoever we see ( ………… ) we accuse his faith in Sahabah . The arabic text is : روى ابن عساكر في « تاريخ دمشق » (59/211) بإسناده عن عبدالله بن المبارك رحمه الله قال : معاوية عندنا محنة فمن رأيناه ينظر إليه شزراً اتهمناه على القوم يعني ، يعني الصحابة . What is between brackets I didn’t interpret it because I want a brother who is a good interpretor to translate it, because I am in a hurry & so as to be accurate . وروى الخطيب البغدادي في « تاريخه » (1/209) وابن عساكر في « تاريخ دمشق » (59/210) عن الربيع بن نافع الحلبي رحمه الله قال : معاوية ستر لأصحاب محمد صلى الله عليه وسلم ، فإذا كشف الرجل الستر اجترأ على ما وراءه . 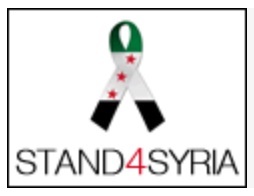 وفي « السنة » للخلال (2/448) ورقم (693) أخبرني محمد بن موسى قال سمعت أبا بكر بن سندي قال : كنت أو حضرت أو سمعت أبا عبدالله وسأله رجل : يا أبا عبدالله لي خال ذكر أنه ينتقص معاوية وربما أكلت معه فقال أبو عبدالله مبادراً : لا تأكل معه . وسنده صحيح . سُئل النسائي، رحمه الله تعالى، سُئِلَ عن معاويةَ بن أبي سفيان، رضي الله عنه، فقال: إنما الإسلام كدارٍ لها بابٌ، فبابُ الإسلام الصحابة، فمن آذى الصحابةَ إنما أرادَ الإسلام، كمن نَقرَ البابَ إنما يريدُ دخولَ الدار. قال: فمن أراد معاويةَ فإنما أراد الصحابة. On Sunday 3rd November 2013 there was a total solar eclipse in Africa and a partial one in the Middle East, where many thousands of people witnessed the birth of the moon by the human eye, without relying on astronomical calculations. It is well understood by the astronomy experts that the visibility of the moon is not possible in the same evening when there is a solar eclipse, as the moon is still in the hidden phase, called Mahaq in Arabic. I ought to have posted this months ago but it seems to have been lost in transition somewhat. Alhamdulillah! 2013 saw muslims in the UK start Ramadan on oneday. Some of us optimistic ones immediately imagined an image in our minds of muslims ending ramadan and celebrating eid on one day in unity. It was later heard of that in the saudi region where mr annonymous usually makes a claim of sighting the new hilal even when the new moon hadn’t yet been born had experience such bad weather that if anyone were to make any such claim on that day, the masses would have hamstrung him. so there was no real unity, it was just a co-incidence that it rained in saudi that day. Unfortunately, as the month progressed rumours emerged from saudi claiming that they should have started ramadan according to the pre-calculated saudi calendar and that they made a mistake by delaying the start of ramadan. And accordingly after 28 fasts the officials announced to the people in saudi to go out after completion of 28 fasts to look for the new hilal. did they expect to actually see the moon when it hadn’t yet been born..?? what utter stupidity?? Obviously no moon was visible. It was clear that the government had decided to call the 28th their 29th, making way for eid to fall on a date that matches their pre-calculated calendar. because after that, the actual 29th would be their 30th at which point no need to look for the moon as the month cannot be more than 30 days. And so in the west eid was once again split. So, if they decided to accept the day before they actually started ramadan as part of ramadan should they then not make up that fast.?? but did they?? To think that people, scholars, imams, muslim activists etc etc in the UK see and hear about this but do not realise that something somewhere is going south. I canot comprehend this. what’s going on..????? And those who actually don’t know need to pull their finger out. At times of fitna, silence is the work of shaytan. verily, Allah alters not His blessing from any people until they themselves alter their condition (13:11). Alhamdulillah! we have many hilal committees in the UK today who are striving to revive the blessed sunnah of moonsighting. Trying to actually sight the moon each month rather than following age old pre-calculated calendars that do no one any justice. 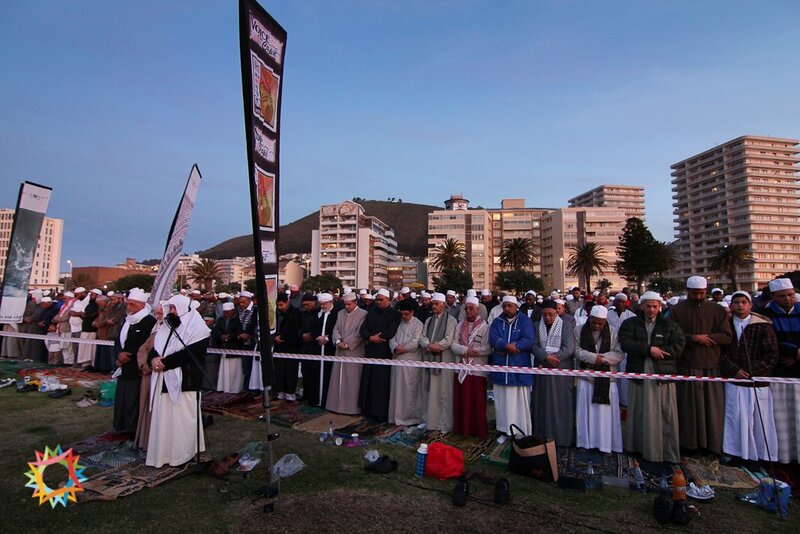 When no positive sighting made on the 29th of lunar month they are gathering information from neighbouring countries who have authoritative hilal organisations and also countries who have reliable and trustworthy systems in place namely south africa. But only after attempting to sight the moon here in the UK do they follow the rule which in hanafi fiqh allows the muslims to use information from the east. Subhanallah!! 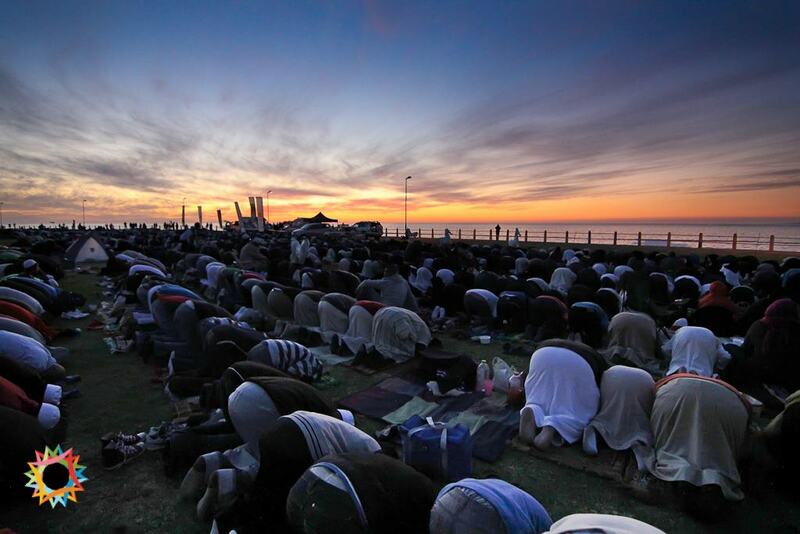 i was overwhelmed with joy when i saw pictures from south africa (below) where muslims go out to attempt to sight the new moon in the thousands. yes! thousands. NOT a handful or even 100 but thousands. sadly, in the UK muslims take it as a non-issue. When no positive sighting made on the 29th, these UK organisations are also going out on the 30th in order to keep a record for future predictions etc. After all this how can muslims continue to blatantly blind follow saudi arabia, when there is no basis for it in the shariah. many have made many claims about it’s validity and that saudi is also to the east of UK, but when you look at the saudi calendar system it all goes out the window. those who support following saudi dates do not tell their fellow muslims of the corrupt and erroneous nature of the saudi calendar. The public need to wake up and start questioning their masjid committees and imams who are directly responsible for muslims starting fasting when the month hasn’t actually begun, so that fast will not count. And then celebrating eid when the month of fasting has not actually ended, in effect they shall be liable for that fast. 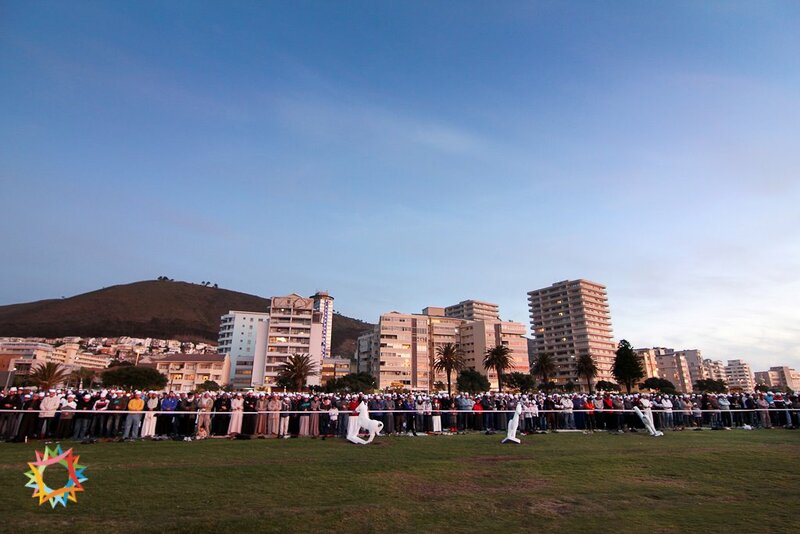 Then qurbani/udhiyyah being done when it is actually the day of arafah. i suppose the common person won’t catch on or have the courage to stand up and ask the question, but there are many learnered brothers and sisters out there who need to step up to the challenge or you will find yourselves being asked that which you will not be able to answer on the day of qiyamah. unfortunately, there are also committees under the pretence of hilal organisations who present and promote themselves as who discuss debate and gather information on the issue and then decide when the month should start/end but sadly they are just taking the public for fools, by just announcing what comes out of riyadh yet making the public believe that they are actually doing something genuine and constructive. some say that we live in a non-muslim country with no islamic governance, so no one will be held accountable. unfortunately, it is quite the opposite. we have no islamic governance, so it’s every man for himself. the duty is on every individual shoulder to learn the deen and act upon it. if you are deaf dumb and mute and you follow or make an error then inshallah it will be forgiven easily. however, if you are knowledgeable, able, competent, proffessional and you just sit back and follow like sheep then you are in for a tough ride. — who’s to blame for the split.? ?